History of Aluminum Can Manufacturing: Usage of aluminum in cans making can be traced back to 1957. 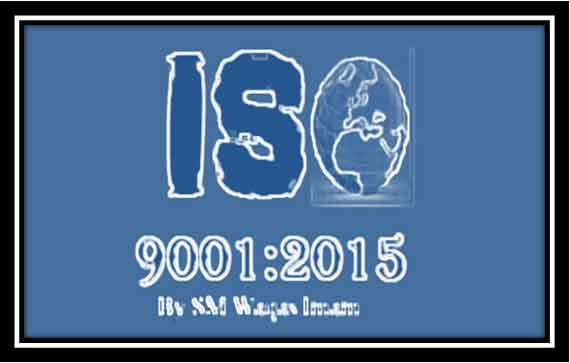 Since aluminum 6061 is more economical than any other metal therefore the usage of aluminum in can making became popular and then finally aluminum captured the market of beverage cans manufacturing solely and replaced other metals in this cosmos. Aluminum is present 8 percent of earth crust’s elements by weight therefore it is economical to exploit for this purpose. The Schema of Aluminum Can Study: The study on manufacturing materials and processes exclusively encounters with the production processes of aluminum can. For this reason, the study focuses on main processes and manufacturing concepts that are used in the manufacturing of aluminum cans in the previous article and discusses each major process as a whole apart from the discussion of the exact sequential processes of aluminum cans. Therefore, with the help of these initial processes guide a basic understanding about the processes that will be used further for the production of aluminum cans can easily be grasped and under one’s comprehension. This Brief on Metal Forming & Treatment Processes discusses the processes and the concepts that will be used in the production phase of aluminum cans. Cold working, blanking, drawing and deep drawing has been explained thoroughly then finally the article proceeds on the production of aluminum cans. The second phase of the study is specifically related to the sequential processes of the production of aluminum cans; since the prior knowledge about the processes has already been obtained in the earlier articles, therefore, understanding of the processes of aluminum can manufacturing becomes easy and relatively more comprehensible. Preferring aluminum Over Other Metals for Beverages Can Manufacturing: Beverages cans are mostly manufactured by aluminum. Since aluminum is abundantly present on earth’s crust in the form of ores like bauxite, kaolin etc therefore extraction of aluminum through these ores is relatively easier than other metals. The presence of aluminum and the simple processes for extraction of aluminum from ores make aluminum an economical, viable and all time available raw materials for the production of beverages cans. 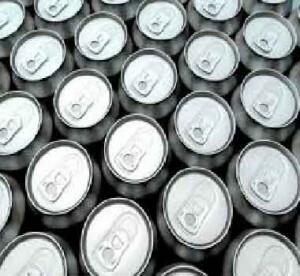 Manufacturing of Beverages Cans & Not Aluminum Extraction: The article does not focus the extraction processes involved for the production of aluminum but on the other side it is more precisely and briefly related to the processes of manufacturing of aluminum cans using aluminum 6061 as a raw material. As the subject of study is manufacturing materials and processes therefore the article is related to manufacturing instead of excavating or extracting materials from the ores. Aluminum can be in between 95.85 percent to 98.56 percent with some other varying elements within the range. Al 6061 alloy of aluminum is a general purpose alloy of aluminum, it is an alloy that can be easily formed, drawn and welded. Can manufacturing require material properties like easily susceptible for cutting, good elongation for drawing, ductility etc, Al 6061 annealed can provide an elongation of 25-30 percent, this material is easily workable and very cost effective, this is the reason it is being widely used for Aluminum beverages can manufacturing. Raw Materials in the Production Process of Beverages Cans: Aluminum 6061 coil, lubricating liquids, electricity, and are used as primary raw materials in the production process of aluminum cans. Classification of Production Process of Beverages Cans: The aluminum can production process can be classified into three major portions of the assembling process. The assembling of these cans are done in a way that the bottom of the aluminum can is first integrated with the body of the can, then a content is filled in to the cup style body, afterwards the cup body is integrated with the top roof of the can. This is the general process of can making. Processes in the Production of Beverages Cans: The production process of aluminum cans starts with the shearing of aluminum 6061 blank sheets from the aluminum coils. This is done by un-coiler that unrolls the coil of aluminum 6061 and a suitable lubricant is applied to properly make the sheet flow into the upcoming processes. Then the aluminum 6061 sheets are sent for the purpose of blanking into circular discs. Now these circular discs are being used for drawing purpose in order to make the circular disc in the form of a cup, any scrap of aluminum 6061 during the shearing process is recycled again for the above processes. The process of re-drawing starts when these cups are sent to a stream line of conveyor that goes to a punch, this punch is called a body maker, there is not a single punch rather there are multiple body makers, and each of them contains punch. The cup in such line is being forced by these punched to acquire the shape of can by passing through gradually smaller ironing rings. 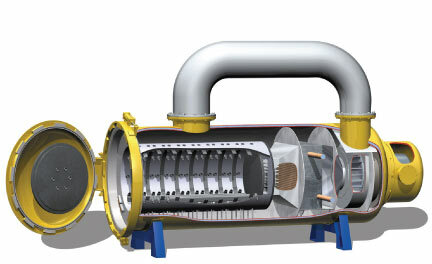 This process actually ironed the cup into a can, here in this process as well; proper lubrication is maintained due to continuous action of body makers. After the can is being released from the body makers, it is subjected to the process of top trimming such that all cans accomplished a unified height. Again, the top can scrap is recycled to the beginning processes. Now, the can body is subjected to washing mechanism so that all lubricants can be removed, so in order to make the can ready for exterior decoration. After cleaning, the can is dried through driers and then send to decorators for exterior printing purposes. The exterior decoration is then protected by a covering and also an interior organic coating is applied so as to prevent any reaction of the drink with the walls of the can. Quality control and inspections tests are then applied to the can to ensure that there is not a single tiny opening left. The top can end is then attached with a lid, the lid is provided on these aluminum cans so as to make it easier for the customers to remove the cover of the cans and enjoy the drink inside. Aluminum Can Study a Learning Prospect: As a whole this study is a great learning prospect regarding the manufacturing concepts, and different processes that are stream lined in the production process. Manufacturing of Aluminum cans is taken as an example; through this a basic understanding of can manufacturing is obtained. As the study is based on aluminum cans the processes related to its manufacturing like blanking, piercing, drawing, and deep drawing can be easily learned. It will definitely assist in the career of metal working, since all the processes involved are a great learning exposure of metal working. Visit Continental Can Europe, I did in 90s and I got still have samples.